Cutest Characters of Winter 2017! Its that time of the season where we all pick the characters that have stolen our heart! The season is strong, with lots of great shows full of wonderful characters! Who will reign as Anime Arcade’s Cutest Character of Winter 2017?! Unfortunately, Jeff was unable to contribute to this season’s post, so we decided to get our community involved! Thanks to everyone that voted! While Fuuka is the main girl of this show and a lovable character in her own right, I can’t help but root for the childhood friend. Koyuki is gorgeous and her reactions whenever she talks with Yuu make my heart flutter right along with her. She’s super adorable, and an idol to boot! I love the style of show that Seiren is. We have a completed arc with Tsuneki, and while it may not have ended in a way most would have liked, there is no denying how wonderful she is. She’s sassy, cute, smug, and flirtatious and she fits the image of my dream girl when in high school. She can wear my sweats any day! I have a thing for haughty girls. Especially ones who have a heart meltingly sweet temperament once you get past that rough exterior. Aki is rude and brash, but whenever she gets embarrassed or lets her guard down, my heart skips a beat with the cuteness that overwhelms me. Oh, to be young! 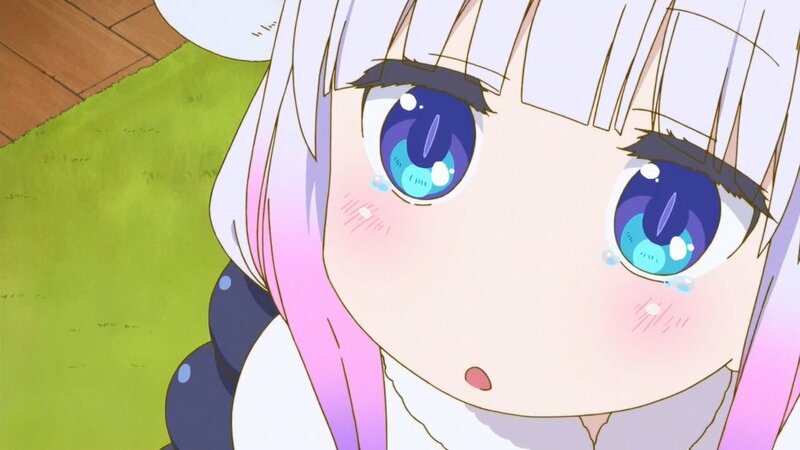 Kanna is the epitome of adorable. 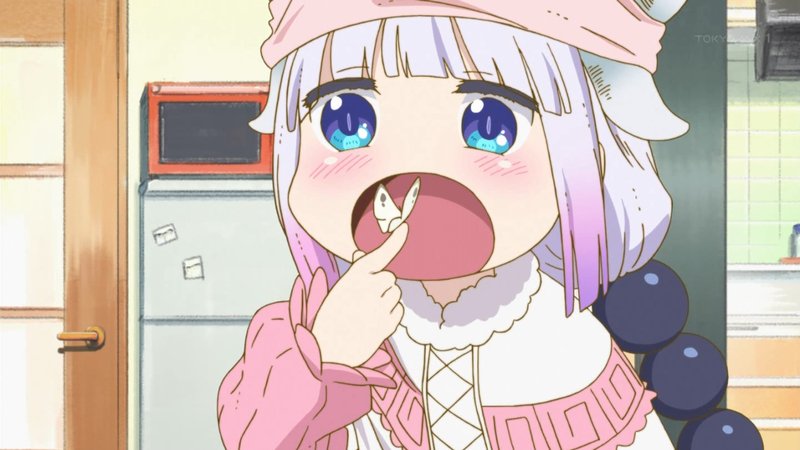 Two seasons ago we had Tsumugi, last season we had Poco, and this season we get the criminally cute Kanna. She’s hilarious, especially when she first accuses Kobayashi of seducing Tohru, and her little temper tantrum made me put my head in my hands and go, “Awww!”. At times she seems more like a pet than a roommate to Tohru and Kobayashi, but damnit if she isn’t the cutest dragon out there. I’ll take two of her please! 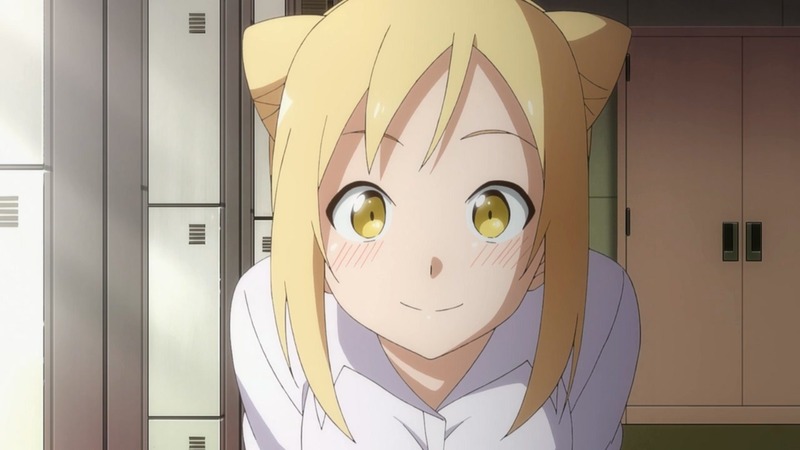 Hikari is perfection. Blonde, check. Vampire, check. Hilarious, check. Adorable, mega check! This girl has stolen my heart this season. Not only is she all of the aforementioned things, she’s also surprisingly dependable, brave, and willing to stick up for her friends. She has had an equal number of heartwarming and cute scenes and that balance is a huge plus in my book. She’s not a one note character and continues to surprise me every episode. 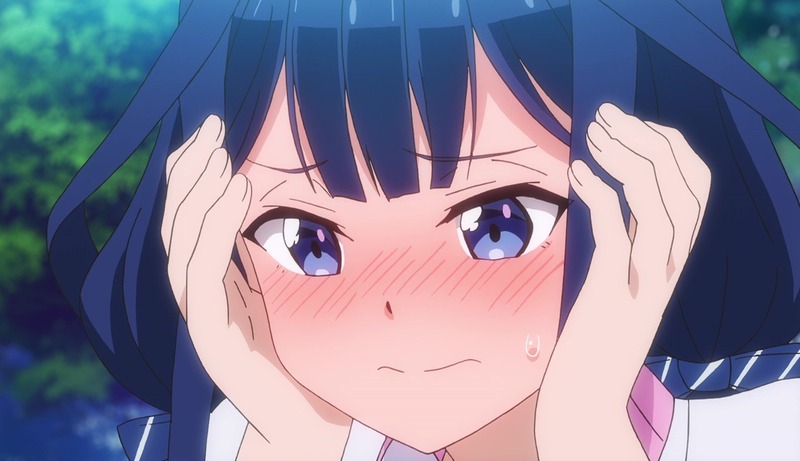 Of course, the fact that every time that she gets embarrassed makes me just want to hug her and tease her, well, that’s just a bonus as well. 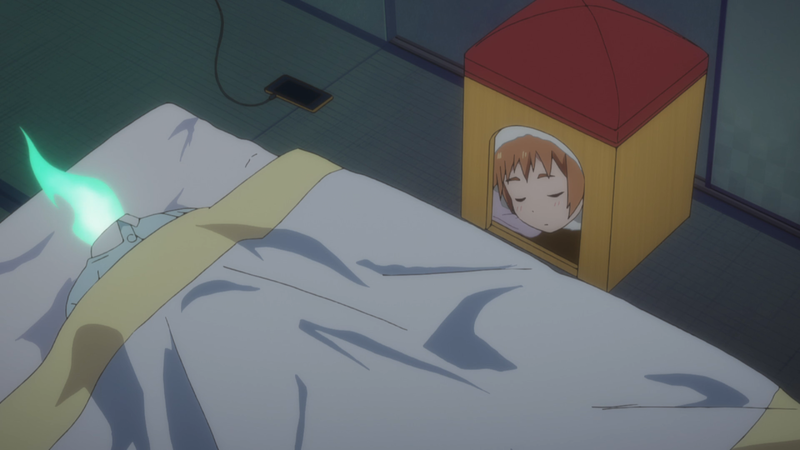 This pick might weird some people out since [SPOILER] this is a adult businessman’s brain (soul, whatever) in a murder loli’s body [SPOILER OVER], but I find the antics of this character to be very cute. Intelligent, ruthless, and overall just looking for an easy ride through her career, Tanya is a girl after my own heart. Her fight with her country’s enemies, and “being x” keep me coming back week-to-week, and her downtime moments when she tries to position herself in a comfortable career path are amusing. Wrap all this up in adorable evil, and you got yourself a viewer. What kind of idol fan would I be if I left an idol off this list? Ume Momoi recently got an episode on Idol Incidents and I was instantly a fan. As an Idol Dietwoman she serves in the Bishoujo Party to help remedy the problems of the people. This usually entails her singing and dancing the people’s problems away, and I’m 100% okay with that if Ume is the one doing it. She’s flippant in her government duties, but shows up big during the National Swimsuit Competition! Ume is someone I’m hoping to see a lot more of in the weeks to come! Satanya is my personal pic for cutest character out of Gabriel Dropout, and honestly that show’s characters were hard for me to choose from. She’s devious and mischievous, but really a sweet girl underneath her desire to be an archdemon. Everytime something bad happens to her I simultaneously laugh and feel sorry for her, and her upbeat nature despite her constant misfortune is what endears her to me. I’m hoping to see her get a little revenge on Raphiel in at least one episode, but if not I am content to watch her cute reactions to the world around her. It was a pleasantly surprising to find a succubus character who wasn’t constantly sexually aroused in Sakie Satou this season. Her concern for her students is endearing to her, and her struggle against losing herself to her base nature is equally adorable. Now that she has developed feelings for the protagonist, it’s fun to watch her each episode attempt to win his affection without relying on her succubus abilities. 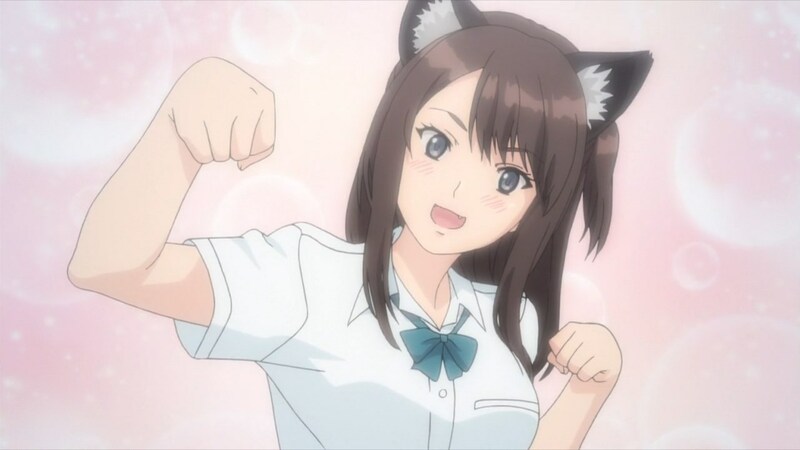 I’m really hoping for some romantic resolution for this character in the weeks to come (or in the manga), and I am equally hoping for a figure of her soon. This year’s top spot wasn’t hard to pick at all! A yuri dragon maid? Sold! Tohru captured my attention when I picked up the manga late last year. Since the anime came out I feel like I’ve fallen in love with the character all over agian. KyoAni has worked their magic on this franchise, and Tohru got a magnificent touch up in their production. Now on top of being hilarious, adorable, and an all around fun character she is now beautifully animated! I can’t wait to see more of her reactions to the human world, and more of her affectionate scenes with Kobayashi! It was honestly a huge surprise to us that Tanya made the community top 5 cutest characters (and in a 3 way tie no less), but it’s a pleasant surprise nonetheless. Tanya does what few anime heroines can do by being both physically cute, while also being mentally ruthless. Why wouldn’t you like a career minded, magically gifted, murder loli?!? While not our favorite of the bunch, there is no denying that Machi has plenty of qualities that make her cute. Her shy demeanor as she traverses high school life, while trying to figure out how to interact with those around here, stole the hearts of our community, and we can’t blame them! The one-shot-queen of explosion magic is back in the second season of Konosuba, and apparently our community still really digs her! Between blowing stuff up, reuniting with a former rival, and being eaten by toads she remains many people’s favorite character amongst her band of misfits. However, she’s an easy choice for cutest out of the deplorably funny characters that make up her companions. Satania is easily one of the cutest, and most innocent demons in anime. Her tragically good nature (despite being a demon) gives her an odd charm, and the harassment heaped on her by her angelic counterparts lends her a sympathetic air. In that sense she’s a uniquely adorable character that you just can’t help but feel sorry for, and laugh at at the same time. It comes as no surprise to us that Kanna was voted by our community as the cutest character by a landslide. She’s adorable, funny, and has a heart of gold. Every scene she is in is heart warming and feeling a strong urge to protect her is not uncommon. The community has spoken! It should come as no surprise that Kanna stands a head above the rest. She was second on Logan’s list and crushed the community poll, making it easy to crown her as Anime Arcade’s Cutest Character of Winter 2017! Thanks to all of you who participated in our survey! We look forward to having your help again in the future! Cutest Characters of Fall 2016!